I’m thrilled to announce that the Paganoonoo Boro-Style Jean Jacket upcycling instructions are now for sale! 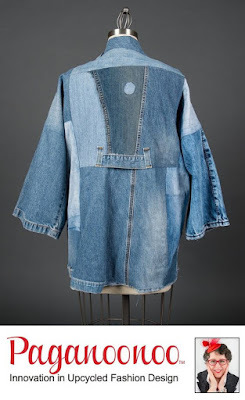 I recently completed a garment for Canada College’s upcycled denim contest. 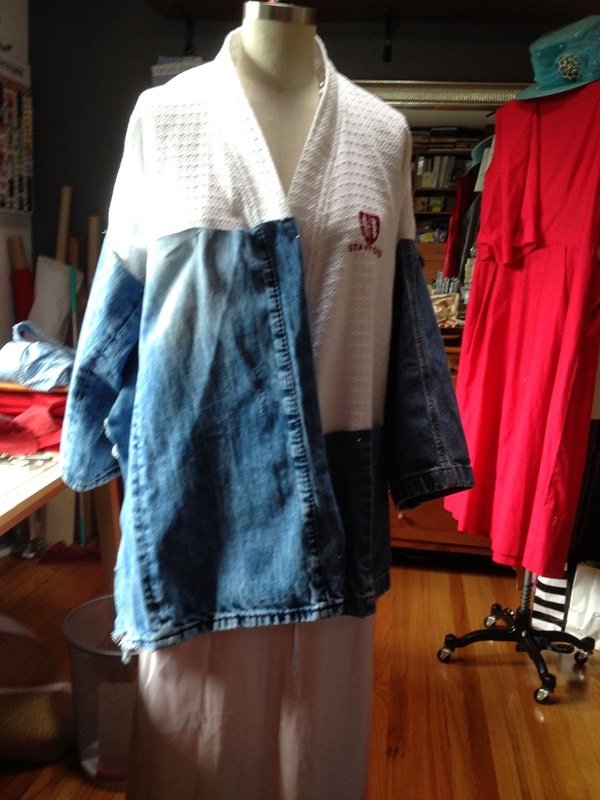 I started with a thrifted foundation garment of a cotton waffle robe (Stanford logo) so I could build from scraps and parts of jeans. 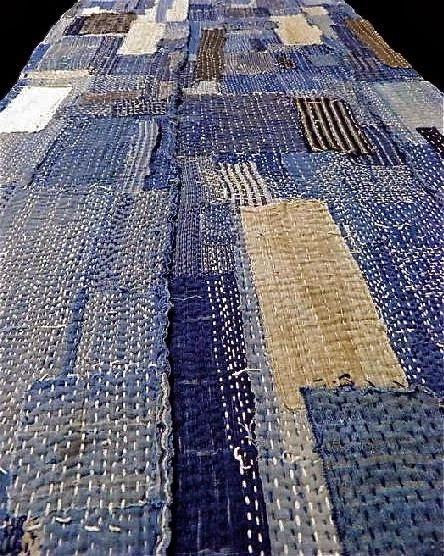 My inspiration was the wonderful utilitarian mended japanese ‘boro’ garments I’ve been seeing on Pinterest. I’ve always found used jeans irresistible, the velvety softness they get over time, the fading indigo dye. 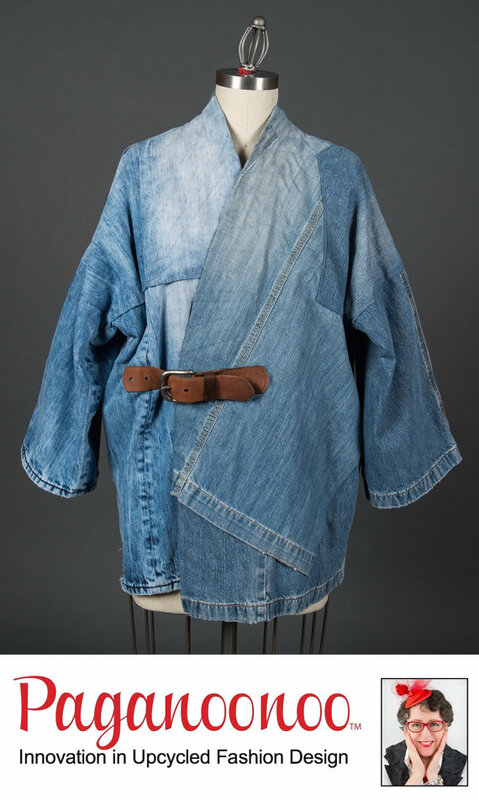 You may have seen my original boro inspired upcycled kimono-style jean jacket on this blog (post 1), (post 2), or on Pinterest. 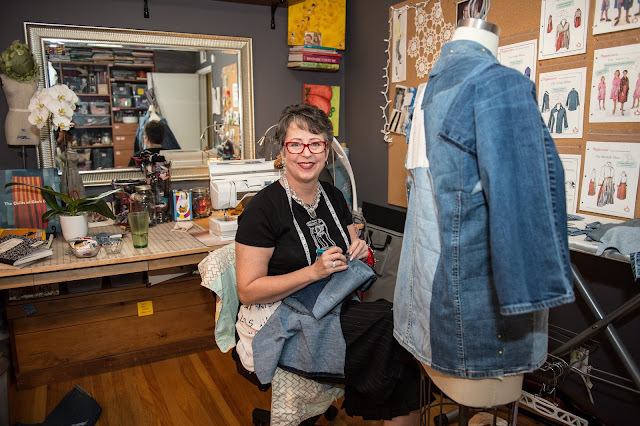 This is where the last post left off… Michelle Paganini working on her upcycled boro style jean jacket.